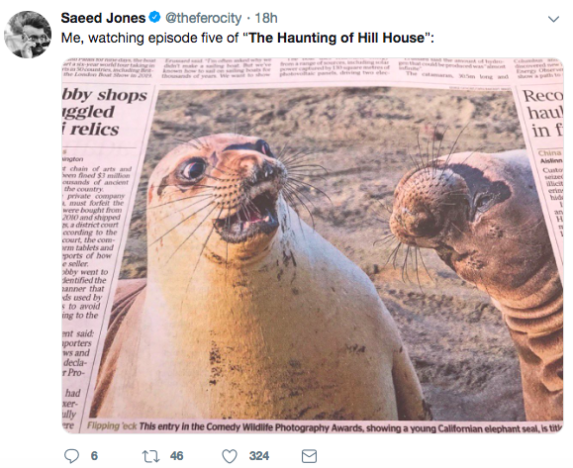 Until last weekend, it had been a long, long time since I was really, truly scared by a film or TV show. 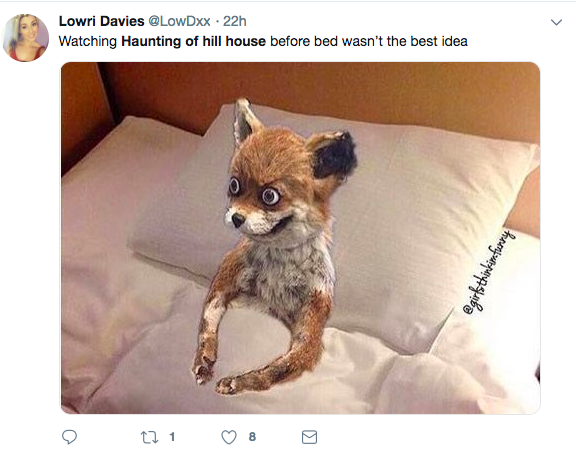 I’m talking so scared, you’re frightened to cross the landing to use the loo, so scared your blood runs cold days afterwards at the sound of a creaking floorboard. 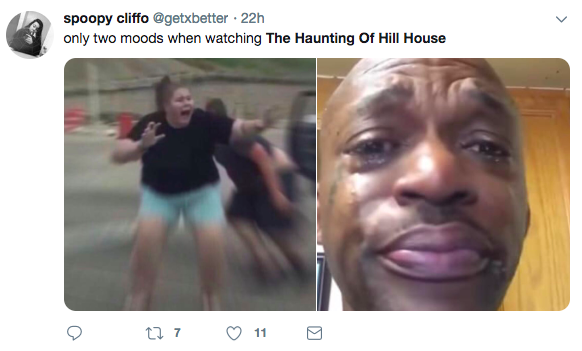 I can honestly say The Haunting of Hill House has brought me back to a state of cinematic terror I can only recall from pre-teen sleepovers, when we would stay up watching horrors which we were years too young for. Loosely based on Shirley Jackson’s 1959 gothic novel, The Haunting of Hill House has proven how powerful a horror movie can be when spread across an intensely binge-able ten episode TV series. With each successive episode, viewers are given a little more insight into the dysfunctional Craine family, whose respective futures were tarnished in various ways during their brief time living at the notorious Hill House. As a drama it’s excellent, with the sort of interesting characterisation, writerly dialogue and compelling storytelling which are so often under-utilised within the ‘scary’ genre. Despite the stark detour from the original text, there are enough understated nods to Jackson’s novel to keep even the most pedantic literature student happy. 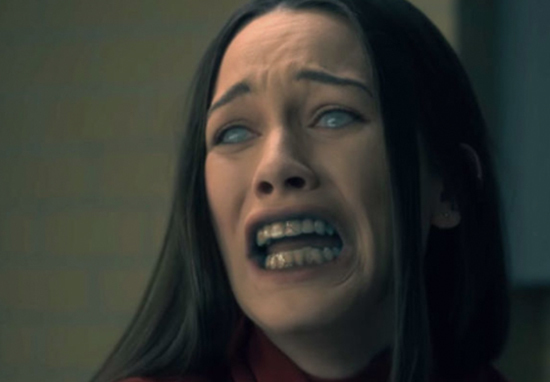 Moreover, as a horror, The Haunting of Hill House has raised the bar. Jump scares aside – and there are some genuinely sickening jump scares – every single scene prickles with a constant, heightened sense of dread. Those who can’t get enough of gothic settings will love the ruined grandeur of Hill House, with its shadowy corridors and watchful neoclassical statues. What Stanley Kubrick once did with Stephen King’s Overlook Hotel, Mike Flanagan has achieved with Hill House. There is also Shirley’s stifling funeral parlour home, where plenty of the present-day family drama unfolds, complete with reminders of death and burial around every corner. And of course there are the ghosts themselves – some of which are so unbearably frightening, you could be forgiven for hitting fast forward. Eagle eyed viewers will have noticed ghouls lurking in the background of scenes, never quite making a full appearance. 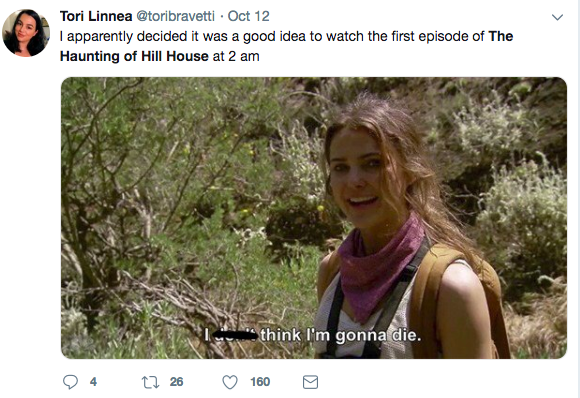 It’s therefore no great surprise to me viewers literally feel like passing out while watching The Haunting of Hill House. Will you be paying a visit to Hill House this October?